2019 is off to singular, and statically misleading, bang for the Tahoe Truckee real estate market. An otherwise very typical January was punctuated by a $37,000,000 lakefront acquisition completing what appears to be a remarkable accumulation of waterfront property. This acquisition of 5.69 acres is paired with the adjacent 3.5 acres transacted in December to the same entity for $22,000,000 creating a remarkable 9-acre lakefront estate on Tahoe’s West Shore featuring over 600 feet of shoreline. The structures, while classic Tahoe in their appeal, are largely depreciated giving the expectation that most, if not all, of the nearly $60 million value in the land. The latest transaction put under contract in November 2018, continues the Q4 trend whereby a handful of extraordinary transactions mask an otherwise normalizing real estate market. Including this sale, the region transacted 96 residential sales, identical to the same period in 2018, at an average price of $1,260,000. 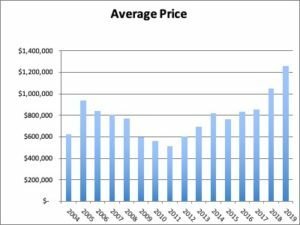 This data point would represent a 20% increase in average price. 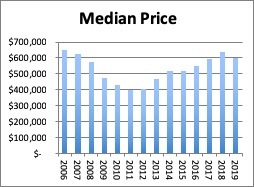 Median price, however, shows a modest 3% increase over the same period; much more reflective of the actual trajectory of values in the region. January is the historical trough for Tahoe real estate closings through conditions weak and strong. 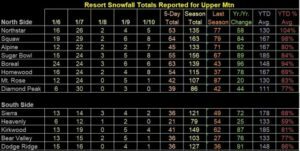 Transaction data typically lags market conditions by 30-45 days revealing pre-holiday season activity before snow has fully covered the hills and visitation returns to peak levels. Now in the midst of a perfectly average snow year (in a good way), we can expect typical results in real estate activity (in a sustainable way). After this incredible storm we just experienced, Tahoe resorts will have ample snow to create the waves of would-be consumers coming in February. Once beyond Ski Week Festivities, real estate shopping begins in earnest resulting in increased transaction volume throughout the spring. I hope to see you up this weekend enjoying all of the new snow in this winter playground.